Visitors will enjoy the stores at the Novena Square Shopping Mall and the Orchard Road shopping belt. 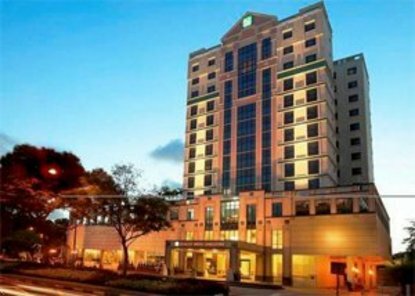 The hotel is minutes from the Singapore Botanic Gardens and the National University of Singapore. The Suntec Singapore International Convention, Exhibition Centre and Chinatown are also close by. Our hotel is only a short drive from the Singapore Changi Airport and Sentosa Island. Families will enjoy the nearby movie theatre. Front Desk Hours: 24 Hours. Hotel offers free shuttle service to Novena MRT Station and Orchard Road. (subject to shuttle schedule).